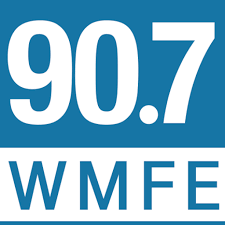 90.7 WMFE is public radio for Central Florida and an NPR member station. The DOC will join our senior leadership team overseeing all content acquisition, curation, creation, development, evaluation, and distribution across all platforms. The DOC will supervise all content teams including our growing local news department and provide editorial leadership, strategic direction and budget oversight. The DOC will serve as the keeper of our brand and quality control specialist. This position will oversee all aspects of the listener experience on-air, online, and in the community. With a focus on formatics, stationality, and consistent format execution the DOC will coach and develop our talent to ratings success. The DOC will be responsible for the collection and evaluation of station audience research and its effective use towards continuous improvement in audience service and audience ratings. The DOC will ensure compliance with FCC, CPB and other reporting requirements. Working closely with the president and general manager this position will promote a culture of excellence and innovation while upholding the values of Community Communications. Externally the DOC will represent WMFE’s interest with program producers, other public media organizations, and vendors with frequent interactions with the Central Florida communities at community events, and local meetings. A Bachelor’s degree in related field, plus at least 10 years of senior management, news or programming experience. Familiarity with emerging media and audience trends is required. Experience with Marketron, Nielsen and other audience analytics is preferred. If you are interested in joining our team oriented workplace please send a resume and cover letter stating position of interest and salary requirements to: jobs@wmfe.org, fax: 407-206-2791, or mail to: WMFE, 11510 E. Colonial Drive, Orlando, Florida 32817. EOE & DFW. Deadline to apply for this position is: August 31, 2018.